Europe's top clubs are determined to explore ways to stage the 2022 World Cup in May despite Michel Platini's insistence it will be held in winter. The Uefa president told BBC Sport this week the tournament in Qatar will not be held between April and September. But the European Clubs Association (ECA) says a recent meeting of Fifa members showed a May option was "very welcomed" by many. Fifa's preference is for a move to November and December. Monday's meeting in Zurich was followed by a statement from the Fifa taskforce set up to look into this issue. It claimed the talks had narrowed the dates for the 2022 World Cup to either January/February or November/December but added that it had been asked to consider May. However, the ECA, which is working in conjunction with the Association of European Professional Football Leagues, says that statement "did not correctly reflect the discussions". "We were surprised by Fifa's media release," added the ECA, which represents 214 of Europe's biggest teams. "We will therefore now speak to the leagues and try to elaborate a May alternative, which will be presented at the next meeting [in March]." 2022 World Cup - summer or winter? 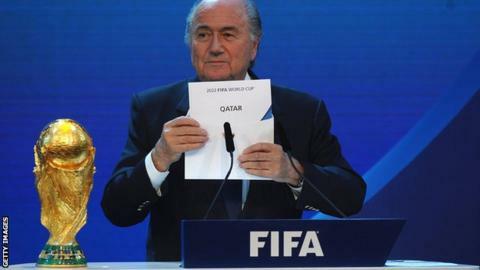 Read more on Qatar 2022 World Cup: When will tournament take place?